Chinese smartphone manufacturer outsells iPhone, putting Apple in number 3 position. DIDN’T WE ALREADY WARN EVERYONE? We’ve already had recent news about Chinese OEM Huawei quickly gaining ground in terms of smartphone sales. While the company itself has repeatedly expressed their goal to becoming market leaders, no one really took them seriously. But in a surprising turn of events, the company did manage to sell nearly 50,000 more smartphone units than Apple last month. They now boast of a 12% market share, with 1.8 million units worth of sales in Eastern and Central Europe. Despite of being relatively unknown in the US and UK market, Huawei has recently picked up sales outside China. This was explained by experts as a result of strategically planned marketing campaigns, steady supply chains, robust distribution channels and support from app developers. The major reason however, is certainly Huawei being a far more affordable brand than Apple. Being the largest smartphone brand in China, Huawei has already toppled major competitors such as Sony and Nokia along with other Chinese brands such as Oppo and Xiaomi. Hence, it surely doesn’t come as a surprise if such a brand gains footing against world leaders such as Apple and Samsung. BUT CAN THEY HOLD THEIR POSITION? 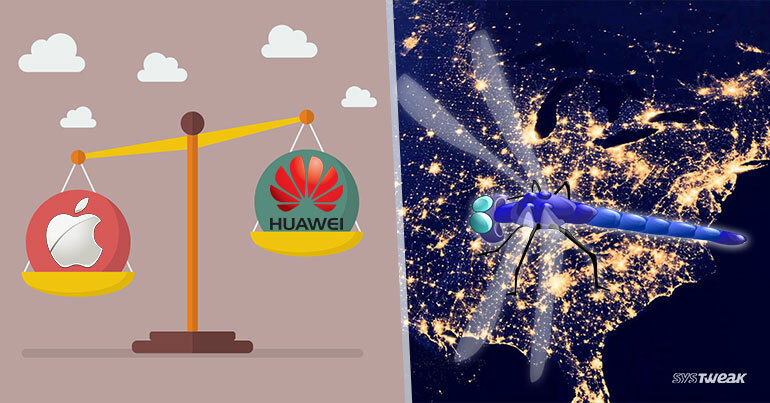 Huawei has surely proved their mettle against a worldwide sensation like Apple, but that still doesn’t mean they’ve won the battle. With their sales only being marginally higher than iPhone, experts speculate things might take a drastic turn once iPhone 8 is launched. But since it is not really going to be an affordable affair, Huawei can surely hope to solidify its brand in North American market like Samsung. WAIT, THEY CONTROL THE POWER NOW? But that doesn’t mean that hackers control the country’s energy grid. However it could certainly be a future possibility if proper security measures are not adopted by the power companies. They also pointed out various similarities between the two incursions, that include similar malware and infected web pages that are unique to this hacker group.